EDWARD MOSTEL, M.D. is a graduate of the State University of New York School of Medicine at Stony Brook. 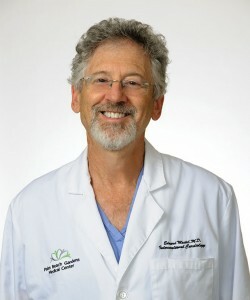 In 1988, he completed his Cardiovascular and Interventional Cardiology Fellowships at Hahnemann University in Philadelphia. He established his career in Palm Beach County in 1988. Ed is triple board certified in Internal Medicine, Cardiovascular Diseases and Interventional Cardiology. Sub-specializing in Interventional Cardiology, he shares the distinction of having implanted the first coronary stent used in Palm Beach County. His experience in treating coronary arterial disease has evolved to percutaneous interventions of disabling peripheral arterial and venous disease.